FDS helps you create the perfect project for your needs. Whether it is a Play School Designed like a Magical Kingdom or a Senior Secondary School designed in the heritage style, we have a solution for all your needs. Don't forget our special designs that will help you design colleges like the 22nd Century offices. In order to cater the variegated demands of our precious clients, we are offering a wide range of options in furniture n lighting fixture for your dream project. Location: Kolkata, Bhubaneswar, Ranchi, Dhanbad, Imphal, etc. Enriched with vast industrial practice, we are involved in offering Classroom Interior Designing Service. We are offering to Pre School Designing Services to our clients. 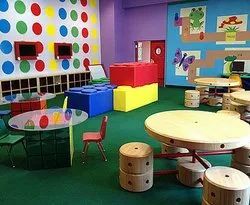 We are offering Play Group Interior Designning Services to our clients. We are one of the trustworthy firms, involved in offering School Interior designing services to our clients. Our professionals make constant efforts to provide this interior designing service within promised set of time span. While rendering these designing services, we utilize advanced technicians and tools in order to enhance special emphasis on superior quality. 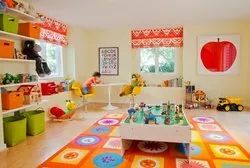 We are listed among the most prominent service providers for the commendable array of Play Group Interior Designing Service. We are one of the trustworthy firms, involved in offering School Interior designing services to our clients.